As spring semester is coming to an end, a majority of the seniors will be graduating. 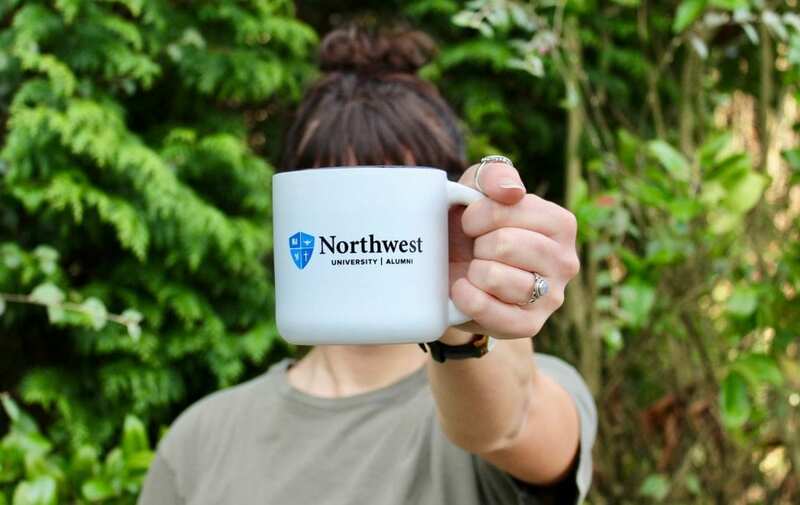 At Northwest University there are six different schools that contain specific areas of study. The following is a glimpse into the lives of four graduating seniors from different majors, and what their next chapter after NU will look like. Amy Kulesza has been at NU for four years and will earn her degree in counseling psychology in May. Kulesza has applied to the Seattle Pacific University Master of Education in School Counseling program for the fall of 2019, and is still awaiting her acceptance letter. The program meets once or twice a week in the evening, and will last two and a half years. During those years, Kulesza will be working in a full-time position for Seattle Children’s Hospital as a mentor for the kids in the psych unit. School counseling was not always something Kulesza knew she wanted to do – she first came into college as a nursing major, but quickly switched in a new direction. As a high school counselor, Kulesza will work mostly on schedules, but will also have opportunities to work one-on-one with students. Kulesza moves back home this summer to Tacoma and begins her job at Seattle Children’s while completing her masters. Alex Ballard has been at Northwest for three years, transferring from Central Washington University, and will graduate with a degree in accounting in May. Ballard has played on NU’s men’s soccer team for three years, and he plans on applying for jobs right after graduation. Ballard says in retrospect he would have liked a finance degree instead, which is broader than an accounting degree. He plans to do around ten to twenty interviews before he gets a job, and he will apply for management positions at Boeing and CPA firms in the Eastside and Seattle area. Ballard is looking to start at a larger company rather than a small one and to work for a couple years. Eventually, he plans to go back to school to get an MBA (Master in Business Administration). After that, Ballard would love to start and run a company, but he finds it necessary to gain some corporate experience as well. Currently, Ballard is interning for a real estate acquisitions and development company doing basic accounting work. Through this experience, he caught a glimpse into how small business flows and what an entry level job looks like. Ballard says that NU has an amazing location for a lot of business opportunities. Professor Tom Sill and Dr. Todd Nelson are professors from the College of Business from whom Ballard has gained knowledge about real life experiences in the workplace that they have shared with their students. Ballard encourages younger students to take this time at school to prepare and invest into yourself while you have the time and resources available. Tristan Walks has been at NU for four years, and she will receive her Bachelors of Science in Nursing in May. She plans to start working in August after completing her licensure exam. Walks will have another month of academic work after graduation, because her professors suggest that students should study around eight hours per day for a month before they take their nursing exam. Walks says she appreciates the versatility that her degree offers. She enjoys high intensity situations and not having the same job every day; She envisions herself going into emergency department nursing. Walks chose the nursing path because she likes the challenge and wants to wear scrubs, which she describes as similar to wearing pajamas to work every day. Professor Chanda Moellenberg has influenced Walks immensely during her time in the nursing program. Moellenberg was one of her professors and became her clinical instructor in the fall. For the month of February, Moellenberg was the trip leader for Walks’ recent trip to Mexico with the nursing program. Walks says Moellenberg has challenged her to figure out her personal beliefs and passions. Currently, Walks works at the University of Washington Medical Center as a nursing assistant on the orthopedic floor. Walks’ managers have offered her the chance to come in for an interview once she graduates. Walks plans on staying in the Kirkland area with roommates, and would love to get a dog in the near future. McKae Nauriyal is a transfer student from Cascadia College, and this is her second year at NU. Nauriyal will graduate with a degree in Communications, with a focus in Business Communication. Currently, she works as an admissions intern for NU, which she says has prepared her for full-time jobs and tasks like writing emails and doing cold calls. Nauriyal will be an administrator in the university recruitment department at Microsoft, a branch of their Human Resources that contracts people in. This is a seasonal, full-time job in which she will bring on recent college graduates in the spring and recruit new hires for Microsoft. Nauriyal and her team are on the hunt for the best of the best at schools like Harvard and Yale. She is excited to be able to work at Microsoft because they are a very creative and innovative company. Dr. William Mari and Dr. Renee Bordeaux are two outstanding professors who exude expertise and have helped Nauriyal to be confident in her gifting and applying for jobs that have challenged her. Nauriyal dreams of writing a book one day or curriculum in the area of holistic health. Reflecting on her time at NU, she realizes the importance of staying true to yourself while in school; when you step into who God has called you to be, you will find yourself in places you could have never imagined. Nauriyal also says that taking time to invest in meaningful relationships has broadened her possibilities and connections. After graduation, she is staying in the area and planning on moving into an apartment nearby with her husband. There are many other amazing students in the community who are striving for excellence and are stepping into what God has called them to in their future. Good luck to the class of 2019!